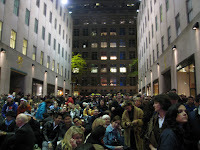 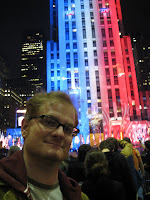 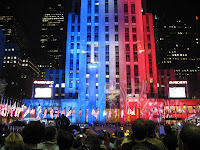 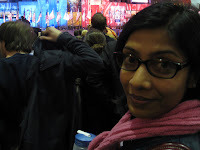 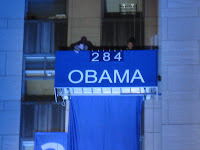 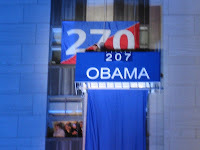 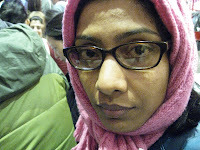 After voting...I went to Rockefeller Center to watch the results. 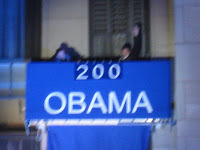 And a few others came along. 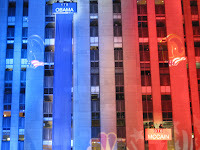 The Center was lit up like a big graph...as one got more votes...it went higher...Obama in blue, McCain in Red.